But I’m getting ahead of myself. Because before I could start painting my nails I had to glue the tip of my broken nail back on. After three weeks, my patch job had finally given out. That’s the longest any of my repairs has ever lasted. Reusable gel base polishes and doing nail art on false nails has really helped. Usually my patches last a week, week and a half. 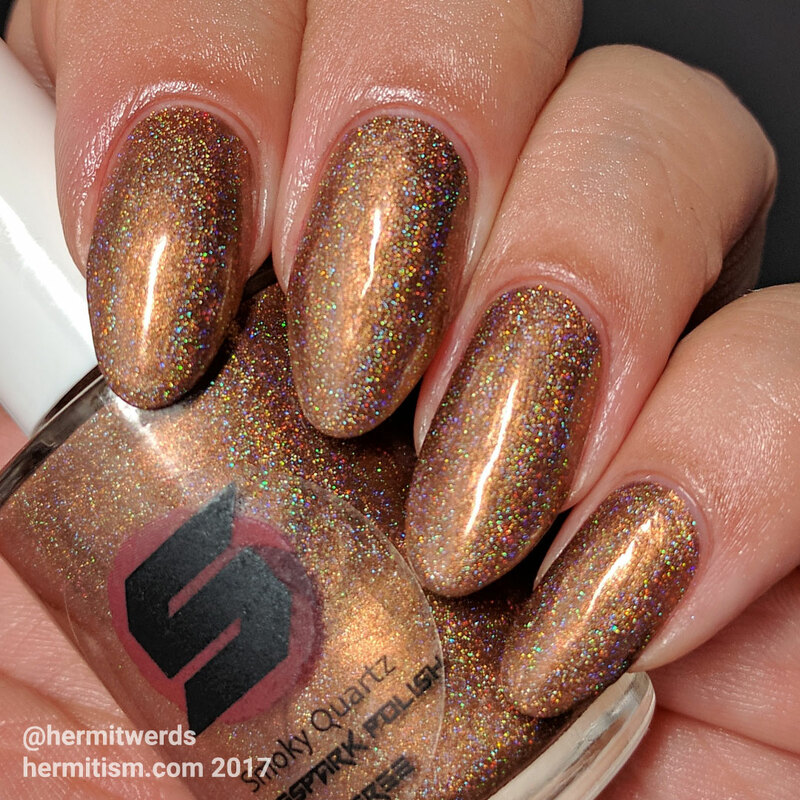 How long do your nail patches typically last? Everything else was acrylic paint and nail charms. 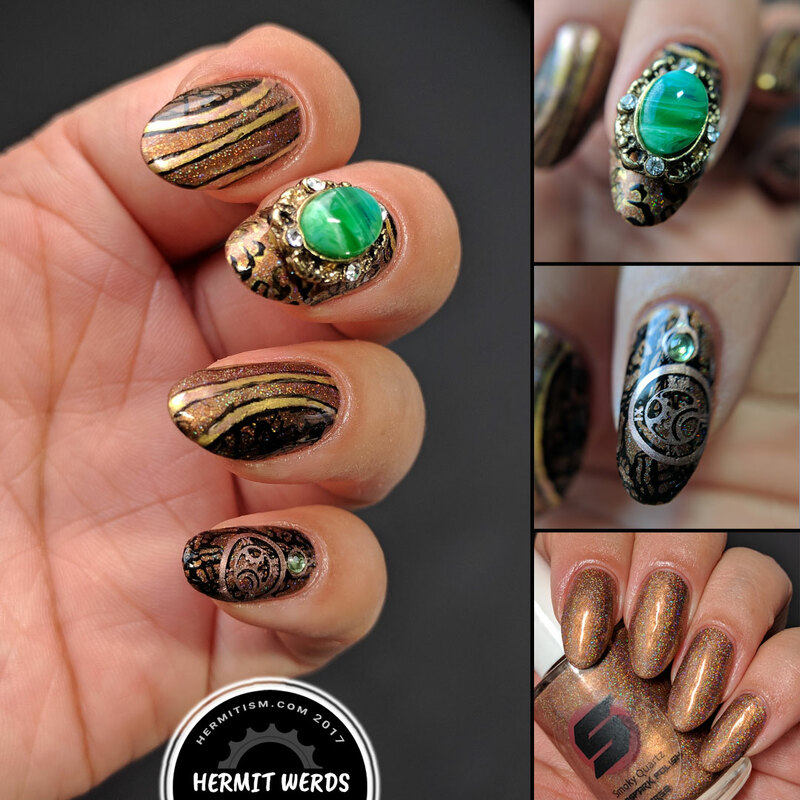 Now I have several stamping plates with corset patterns, but none that are striped. So I freehanded most of this and if you wanted to recreate this look, you could freehand all of it. In fact, using paint instead of the nail charm would make this even more day-to-day wear friendly because you wouldn’t have to worry about snapping it off or cleaning it. So we have our base color down. 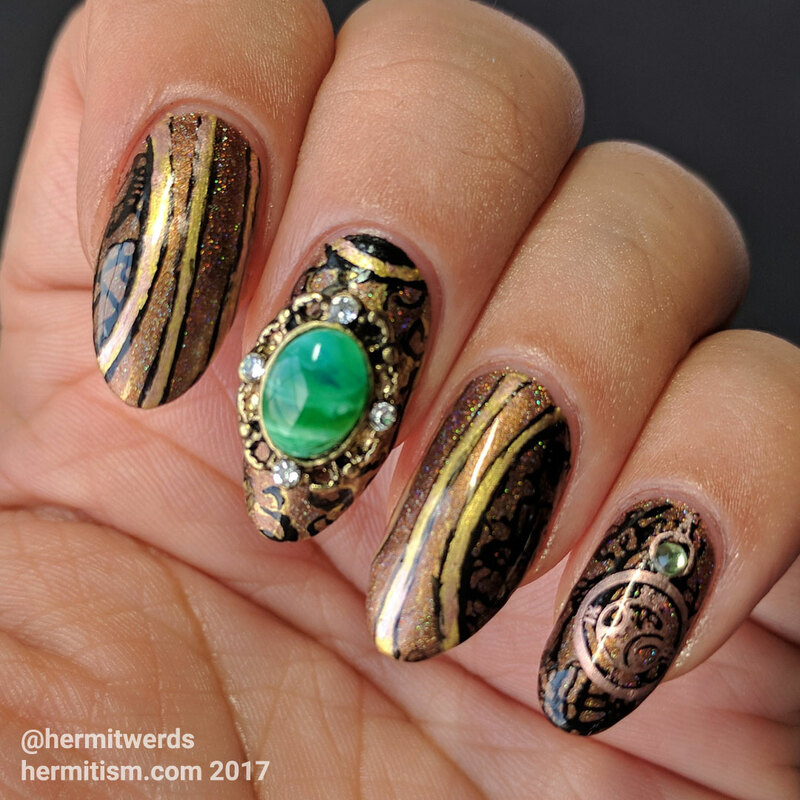 To create the curve of the corset I painted liquid latex onto my nail in a curve and stamped a lace pattern in black for the background. I carefully removed the latex, then used metallic acrylic paint to draw the stripes on the corset and outlined those stripes with thin black lines. For the front panel of the corset I used a nail charm and then scribbled a random curvy line pattern first in gold and then in black around it (if I were smarter, I would have done that and then glued down the charm). Finally, I double stamped a pocket watch onto my pinkie. You can stop there, but I wanted to add a little more depth. I used a frankenstein-ed black jelly polish on the background to make it recede and bring the corset forward more. 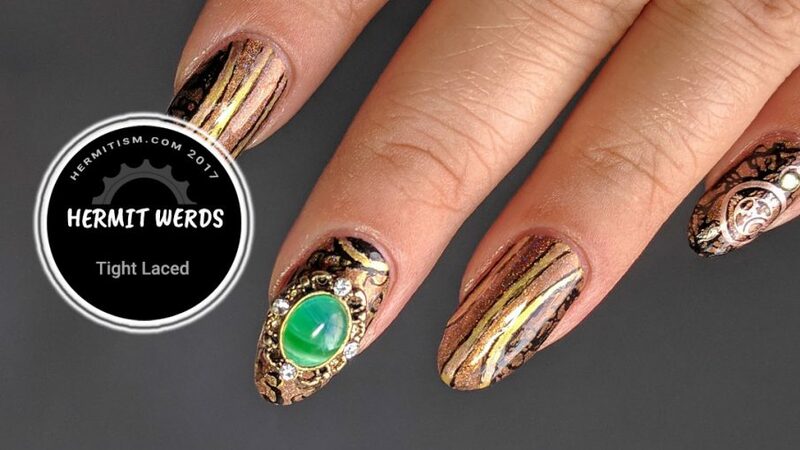 I love steampunk a lot so feel free to check out all the steampunk nail art in the category. I’ll hopefully have more than just nail art in it someday.